The Amateur Radio Experimenters Group will be participating in the WIA organised special event callsign activation of VI5ANZAC. The major commemoration is on the 25th April 2015, which is when Australian and New Zealand troops landed at Gallipoli, marking 100 years since our nation’s involvement in WWI. The club has secured the window from 0000UTC (9:30am CST) Friday 24th April through to 2359UTC 30th April (9:30am CST Friday 1st May) to activate the callsign. 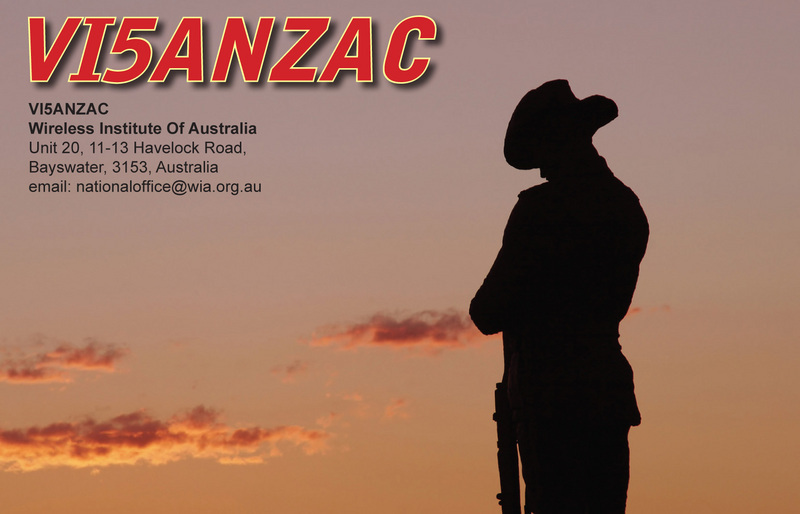 After interest was also expressed from the Elizabeth Amateur Radio club to operate portable from an RSL hall on ANZAC day, AREG has cooperated and agreed to EARC operating the callsign up until 12.00pm CST on April 25th, so that operators from both clubs can share in the experience. The principle goal of AREG with the callsign is to contact Turkey on HF after 12:00pm CST (0230UTC) on the 25th of April (Anzac Day) as well as provide an easily reachable signal across VK/ZL (and all points in between). A large construction project is underway at one of the club members stations aimed at installing a 3 element 40m beam and 4 element 20m beam in time for the event. The AREG also intends for it’s members to activate it as often as possible from AREG members stations thereafter within the club’s operating window on HF and VHF/UHF as far as possible. More details of AREG’s exact plans will be released closer to the event. At this stage, members are asked to contact the committee to place their details on the club roster for activating VI5ANZAC between Sunday 26th April and Friday 1st May 9:30am. This entry was posted in Club News, HF DX Operating, Special Event Stations by VK5GR. Bookmark the permalink.